I’m an artist and PhD student interested in processes of creativity. My PhD investigates making as a process of thinking. My recent painting practice combines images of family snapshots with climate change affected landscapes, asking whether the ways in which we see ourselves as agents inform our relationships with the ‘world’. I have documented the first phase of my research here. 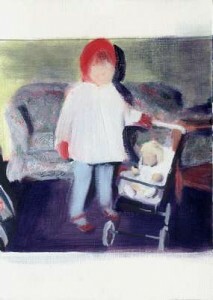 I create paintings from family snapshots to explore the narratives and myths of family, memory, childhood, and identity. 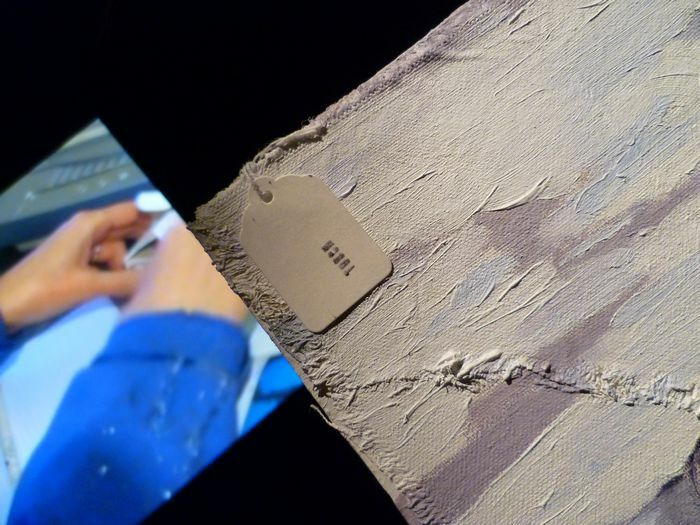 I’m curious as to why we take snapshots, particularly of children, and use painting to visually explore this. I’m also interested in the camera as a form of surveillance; how it feels to be photographed, and the construction of selfhood through the resulting image. I work intuitively, producing often ambiguous works which are firmly distanced from their photographic source. Objects and domestic settings from the original photograph become symbolic props which take on new meanings when transferred into a painting. My recent work is painted on small hand-made panels, perhaps reminiscent of an older tradition of painted miniatures. My influences include Elizabeth Peyton, Marlene Dumas and Luc Tuymans. Visit the Gallery to see a selection of my work. I am currently represented by Water Street Gallery in Todmorden.